Stoney Creek Tennessee was aptly named as you cannot dig a hole anywhere there and have enough dirt to fill the hole back up. For some inexplicable reason, you cannot fill up the hole again even if you added the rock back to it. You can never completely “rock your garden” as they say there, which means to go through your garden and pick out all the rocks which makes the garden easier to work in and is better for the plants. 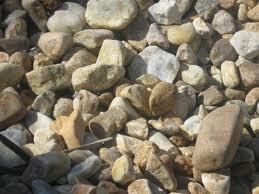 People have “rocked” their gardens most of their lives in Stoney Creek, and there is always just as many rock as when they first started years ago. They appear as if by magic after each rain, and people have built stone fences of nothing but the rock from their garden! By some bit of strangeness, natural or unnatural, there was a swamp of about 2-3 acres in Stoney Creek, and the Stovers lived on it, or as it were, on the edge of it. As unusual as it was for a swamp to be in Stoney Creek, was the fact that about 2/3’s of the way into the swamp was found a small and perfectly good solid piece of ground. And to add to this strangeness, other than the swamp, that little patch of ground was the only place that I ever remembered seeing on Stoney Creek that had no rock on it. I guess the swamp had swallowed them up centuries ago. But whatever the cause of this phenomenon, it was found to be the only place in the swamp that would support a structure of any kind. The rest of the swamp was a wet, murky piece of land that was covered in cattails, snakes, spiders, snapping turtles and mosquitoes. It reminded me of the Grimpen Mire in miniature. There was one, and only one path that wound around thru this unholy marsh, and you dared not step off of that hallowed thin strip of soil. I don’t remember much about the building of the cabin except the sounds of hammers and saws coming from the swamp as I walked by during that summer. I do remember walking back thru the cattails and inspecting the progress a few times during construction, and to a 10 or 12-year-old boy, it seemed like a mansion. You see, most of us boys at the time had set out to build a cabin in the woods that surrounded us, but nothing more than a few boards and pieces of tin ever became of them. 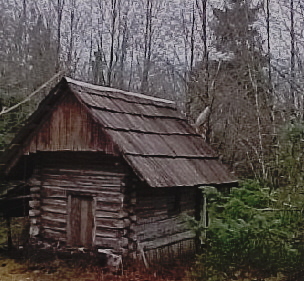 This was a real honest to goodness cabin with four walls, a roof, windows and even a fireplace and electricity! Oh, to have such comforts away from the prying eyes of parents was like having a place in heaven. Here was a place where one could get swallowed up in mischief! I remember well the times I was invited to spend the night at the “Stover Cabin”, as it was to be called. All one had to do was bring drinks and food. We were still quiet young and had not succumbed to the pleasures of forbidden drink, but that didn’t keep us from having a great time, at least until having to go outside to relieve ourselves of all the soda and Kool-aid that had been consumed. This simple act of nature turned itself into incidents of great misfortune almost every time we would spend a night in the swamp. So after sunset, but before the night would become uncomfortably dark, everyone would go outside to “relieve” themselves in preparation of more festivities during the night. Twilight was the last time you wanted to be walking around in the swamp after dark. It was the “event horizon” before locking ourselves in until daylight would appear in the morning. “Buddy”, the Stover boys’ big collie dog, always stood guard for us outside the cabin. Buddy was a dog that took watching over his territory seriously after nightfall, and unfortunately for people walking at night, that territory also included the main highway in front of the Stovers’ home. He was very verbal about it. 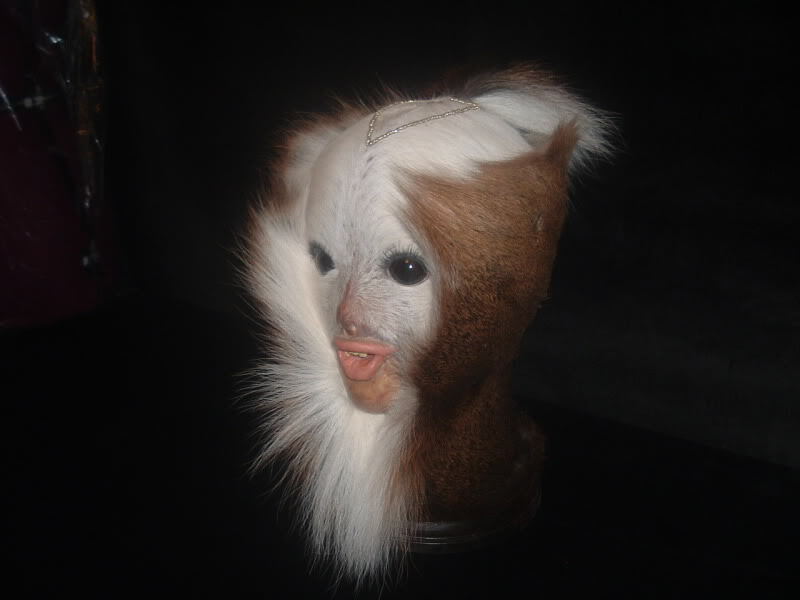 You would hear his toenails in the dark, digging into the pavement as he came for you, waiting until he was at your heels before he informed you of his disappointment of your presence. Men have been reduced to cowardice in the dark of night upon hearing his coming. While walking the highway at night, my uncle Jessie would pull his shoes off and try to sneak by their house. It never worked and he lost several socks that way while running. Buddy was the watch guard for us kids in the dark of the Stover Swamp. The routine went thusly: About 5 or 6 of us would meet together an hour or two before night-time at the Stover home. Mr. Stover made sure no one brought firearms with them as we were want to do when camping out or going hunting. Back in those days of living in the country, there were not a lot of things for boys to do for entertainment, and many parents, somewhat hesitantly, allowed us to go hunting and camping in the mountains on our own. This wasn’t just some careless act of our parents. Many of them had grown up on farms and had taught and instilled in us at an early age the seriousness of handling firearms. We had been brought up hunting and fishing, and knew the price that was paid when taking an animal for food. Mr. Stover made sure we remembered that, and reminded us that we had no need of firearms while under his watch. Our usual pack of misfits would consist of the Stover brothers Tim and Larry, Big Ray Lewis, Dunner, another neighborhood boy or two and myself. Dunner had contracted Polio while very young. He wore metal leg braces and walked with crutches all of his life. Dunner may have been cripple, but if anything was going down anywhere in Stoney Creek, at any time day or night, it seemed as if Dunner was at least a witness to it if not involved himself! The boy got around more than all of us combined, and since he couldn’t run like the rest of us, learned to take care of himself if trouble showed up. He was always fun to be around. Things were rarely dull around Dunner. Big Ray was that. Big. …and strong. I remember years later when someone tried to get me to punch Ray out for twenty dollars. Big Ray begged me to do it. “We’ll split the money” he whispered. But when we were young, he and I would sometimes wrestle for hours when things got boring at the cabin. Mr. Stover’s sons, Tim and Larry, were always ready to spend a night or two in the cabin with their friends, and Dunner, Big Ray and I were lucky to be counted as such. Usually, since the cabin even had a black and white TV, we would all wait until a good scary movie was going to be showing before camping. Talk about times being tough in those days :-). 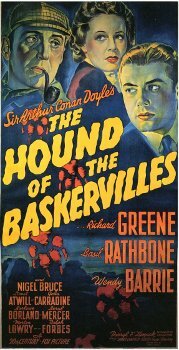 We especially enjoyed watching Sherlock Holmes and “The Hound of the Baskervilles”. It seemed to always air late at night which made it sooooo much better! We would all set about gathering enough firewood to see us through the night. Building a fire in the stone fireplace was mandatory for the evening, and afterwards we would all sit around talking about whatever it is that young boys talk about in life and wait for “The Hound”. The later the night became, the more the talk would steer towards anything that was scary, so that by the time the movie was broadcast, we were pumped up and on the edge of our cots. Sometimes Buddy would get stirred up outside over something in the dark and begin howling and barking madly. It would make the hair stand up on the back of your neck, because you knew something really bad was out there, and there was nothing but a locked door and Buddy between you and it. Dares were made to venture out and see what was there, but none were ever taken. Eventually the show would begin and as we sat around the fire and drank our sodas, the beginning of the visitation of our troubles would not be too long in making its appearance. You see, there was only so much you could drink before having to visit the great outdoors. And you could hold off for only so long! And you didn’t dare step outside that locked door into the swamp at night. And everyone would be in great agony, waiting until someone would finally cave in to their misery and go for it, no matter what was out there. Of course, that was what everyone else wanted, because if one went out, then everyone scrambled to get out at the same time. 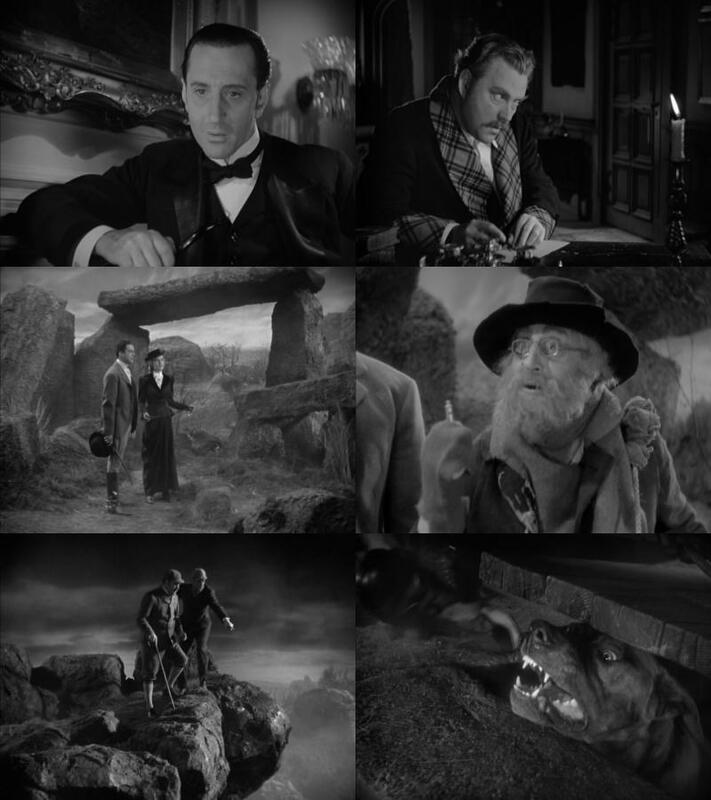 You see, there really is safety in numbers, especially when the Hound of the Baskervilles is loose! And if you didn’t move past the edge of that life-giving light shining from the doorway, you had a chance! The beam from the open door stabbed into the darkness no more than about 15 or 20 feet into the spooky night, and would be lined with 5 young bodies feeling great relief as each brief moment passed. Suddenly, we would find ourselves enormously interested in getting back inside. When answering the call of nature, especially when one is standing in the middle of a reedy black swamp and expecting a great hound to pounce upon you at any moment, you don’t dilly dally around when the lights go out, whether you are finished or not. So with great wailing and gnashing of teeth, we would immediately set about to remedy the situation. Life would be cheap for those few minutes, when there was found no one nearly as important as yourself. And to add to our great dismay, the immediate excitement always set off the howling of the great Hound, which sounded as if he were practically under our very feet, which in fact he really was. Holmes’ great Hound would eventually turn out to be Buddy, the Stovers’ great collie, but at the moment, we were not interested in distinguishing one hound from another. Many words would be exchanged in the brevity of time on such a dark night. Strong words …serious words! Words of great encouragement that no one would die, if one would only unlock the castle door. All sins would be forgiven and promises of great gratitude would be felt by all for this simple act of mercy. Dunner would listen intensely as he fell into fits of laughter, not believing a word of our great promises. Well, at least he didn’t believe all of them. Some of the more colorful exclamations he thought might hold merit, but he was always having too much fun to take them very seriously. Finally, after having way more fun than one person should experience at any one time, Dunner would hesitantly unlock the latch and be instantly knocked onto one of the cots by the explosion of incoming bodies. We couldn’t just beat him being that he was on crutches, so we would all fall on him as one body, tickling him as his cries for mercy were lost within the howls of the great hound outside our door. This entry was posted on September 15, 2010 at 9:17 pm and is filed under FUNNIES....	You can follow any responses to this entry through the RSS 2.0 feed. Both comments and pings are currently closed. When you get enough rocks they hit a critical mass and start growing. The Irish have known this for centuries. At least we do not have to drag seaweed up on the rocks to create dirt.